Hello everyone! Rae Ann here and I am back to announce the winners of the Spring challenge! Thank you to everyone that participated. Your entries were all gorgeous and I wish I could give you all a prize! Random.org chose #28 as our winner and that is Sharon! Congratulations Sharon! You have won 1 Crafty Sentiments image. Then we have our Crafty Sentiments Favorite and that is #26, Marga! You have also won 1 Crafty Sentiments image. Now for the top 3. These are listed in entry number order. Thank you so much everyone for playing along. Please don't forget to grab your badge from the sidebar! 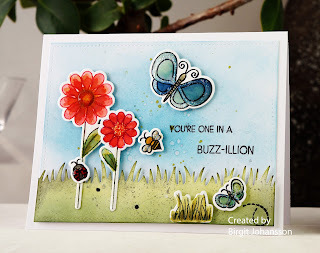 Tune in tomorrow for another wonderful challenge here at Crafty Sentiments Designs. Woww so nice to see my name in the top 3 !